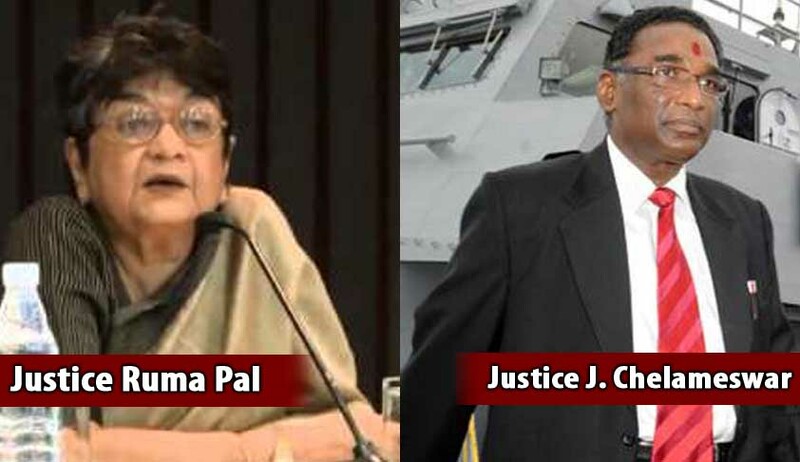 Former Supreme Court judge Justice Ruma Pal recently expressed agreement with Justice Chelameswar’s insistence on the collegium making public its reasons for appointment of judges. “Justice Chelameswar is asking for nothing more than what was laid down in the Second Judges' Case (1993) that reasons for decisions to appoint need to be recorded. One reason the collegium was set up was to ensure the process could be more transparent. Recording reasons is fundamental to transparency. This is the standard the judiciary requires of others. Justice Chelameswar is justified in saying that it should follow the same standard,” Justice Pal was quoted as saying in an interview with Arghya Sengupta published in The Times of India. Also read: Transparency in Collegium System: Former SC Judges Laud Justice Chelameswar’s Stand. Also read: Collegium System Must Be Re-evolved by Justice K T Thomas. Earlier this month, Justice Chelameswar had refused to attend the collegium’s meetings, as long as its deliberations were kept under wraps. Also read: Justice Chelameswar and Transparency in the judiciary: An Open Letter to CJI by Shailesh Gandhi. He was the lone dissenter in the NJAC judgment delivered by the five-Judge Constitution bench in October last year. He not only upheld the NJAC law passed by Parliament, but found the collegium system of appointments lacking in transparency and effectiveness. Subsequently, however, he joined the rest in the consequential judgment on the collegium, delivered in December, because it sought to improve the collegium system. Also read: Activists Ask CJI To Ensure Greater Transparency In Judicial Appointments.